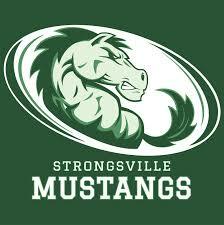 STRONGSVILLE, Ohio– Strongsville head basketball coach Joe Guilfoyle has been fired. A story first broke by NEO Sports Insiders last week regarding Guilfoyle allegedly striking a player and being verbally abusive, and we can now confirm that he has been terminated from his position. Several players and parents went to the administration and complained of alleged physical and verbal abuse towards both their children and other coaches. For more on this breaking story, stay locked into NEO Sports Insiders.